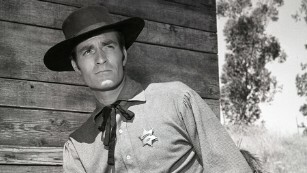 Hugh O’Brian was best known for his role as Wyatt Earp. O’Brian remained active in the foundation until as recently as July, when he urged participants in a HOBY World Leadership Congress to cherish the event. He credited Nobel Prize winner Albert Schweitzer as instilling in him a belief in young people and in 1958 formed the foundation. He is survived by his wife, Virginia O’Brian. “I said goodbye early this morning to my favorite cowboy. My 28 years with Hugh has been an amazing, beautiful adventure. I miss my special man who told me every day I was beautiful and that he loved me, I feel very fortunate that Hugh came into my life. I was one lucky cowgirl,” she told CNN.